Wayne Meisel is an ordained minister in the Presbyterian Church (USA) and currently serves as the Executive Director of the Center for Faith and Service. Meisel has been a longtime advocate of service, service learning, and community engagement. Prior to establishing the Center, Meisel served as the founding president of the Bonner Foundation, where he created, launched, and led the largest service-based college scholarship program in the country. The Bonner Scholars program currently supports 2,500 students at sixty colleges, and has had more than 20,000 alumnus go through the program. Before his work with the Bonner Foundation, Meisel launched COOL (now called “Impact”) as a platform for students and recent graduates to lead. In partnership with Youth Service America, Cool launched what is now known as Global Youth Service Days, which has become the largest service event in the world. Meisel was appointed by President George H. Bush to serve on the Commission for National and Community Service, which evolved into the Corporation for National Service. As a commissioner, he served as a primary architect for the AmeriCorps program. Meisel also served as a charter board member of Teach for American and has been a leading advocate for students with learning disabilities. In 1994, TIME Magazine recognized him as one of the top fifty leaders under forty. Meisel holds a bachelor’s degree from Harvard university, and received his M.Div. from Princeton Theological Seminary. Meisel lives in Priceton, NJ and is married to KP, a seventh grade English teacher at the American Boychoir School. Together, they have four sons: Abe, a dancer at Mason Gross School of the Performing Arts, Will, a business major at Rutgers, Zac, an aspiring trainer and fitness model and Eli, a high school senior who is currently deep in the weeds of ACT prep and college applications. Meisel is a regular contributor to the Huffington Post and identifies himself as an AmeriCorps Chaplain. Alison Burchett serves as Managing Director of the Center, where she works to execute the Center’s vision and programs. In addition to working as a program consultant with Center partners, Burchett is primarily responsible for the creation and development of the Center’s digital and print resources. Burchett got her start working on the integration of faith+service in 2007 while she was a first-year M.Div student at Princeton Theological Seminary. There, she spearheaded an effort to create and launch a community engagement program at the Seminary. Together with Meisel, Burchett worked with community partners to create ten funded internships at local non-profits, and led a cohort of students in what become known as The Community Action Network (Princeton CAN). After completing her M.Div at Princeton Theological Seminary, Burchett worked in marketing and public relationship with a number of biotech companies in the New York and San Francisco areas. She re-joined Meisel in his work at the Center full-time in the spring of 2016. Burchett holds a BA in Religion and English from Pacific Lutheran University in Tacoma, Washington. 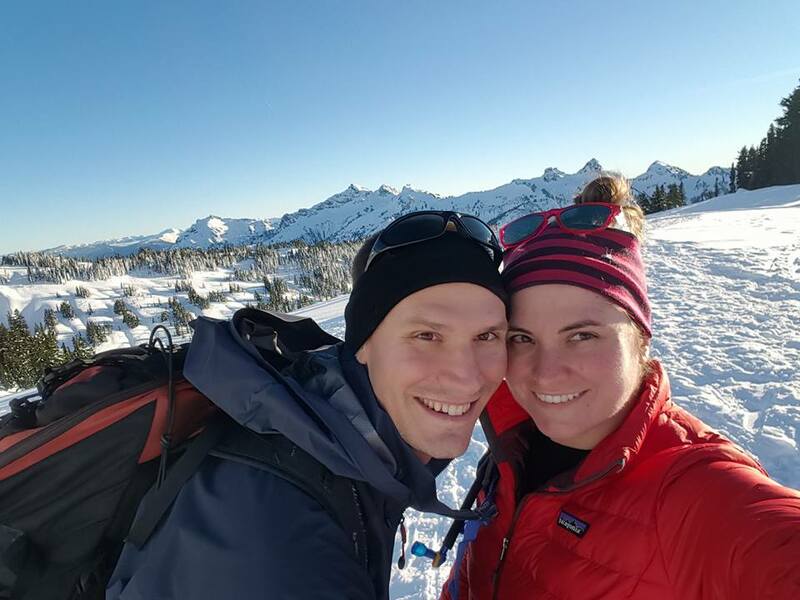 She currently lives in the Pacific Northwest with her beloved labradoodle, Rainy (who likes to chase birds), and her fiancé, Matt (who is a pilot in for the US Air Force). Together, they enjoy hiking, skiing, swimming, fishing, and snowshoeing. Burchett is in the ordination process with the Presbyterian Church (USA).